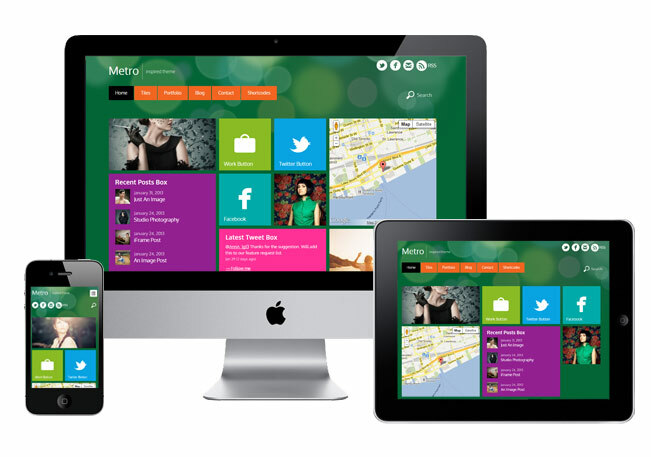 A responsive design that works on all mobile browsers and devices. To see the responsive design in action, view the demo and resize the browser window or view it with a mobile device. 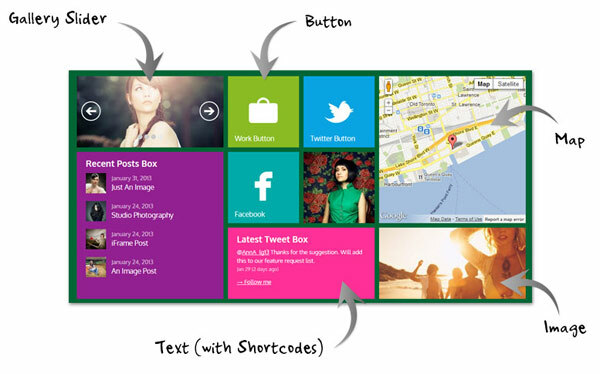 The Metro layout is created with a custom post type called Tile. It can be used to display various content types, from text (with full shortcode support) and buttons to gallery sliders, images and maps. It allows you to specify the tile size (small, medium, or large) to produce the Metro layout result. The banner and map Tile has optional flip-over content layer. With shortcode support, you can display any dynamic content with the shortcodes that are packed with our framework or plugins. You can display sliders, buttons, videos, maps, Flickr galleries, Twitter feeds, recent posts, etc.